There is still time to play in our 'Home Sweet Home' challenge at Time Out. STAMPlorations are sponsoring this challenge and there are lots of prizes to be won. 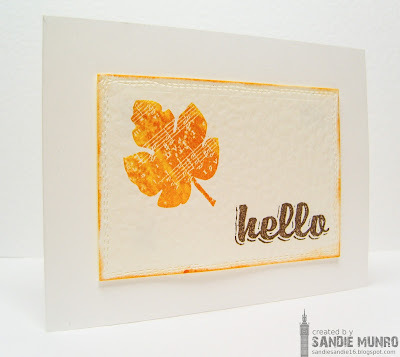 Here is the card I made for this challenge using the new stamp from STAMPlorations Trendy Leaves 2. Our Guest Designer is the very talented Claire and her blog Life on the Scrap Heap is a delight to visit-full of inspiring projects. Pop over to Time Out to take a look at what Claire and the DT have created to inspire you. Thanks for the sweet shout out Sandie - I'm loving that Stamplorations set..it looks so pretty in watercolour! This is beautiful, Sandie. Love the emphasis on that one beautiful leaf. 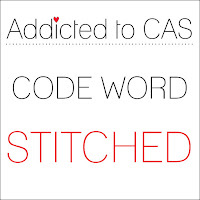 You have a way with CAS that just makes my heart happy! I love this beautiful and perfectly chosen sentiment! 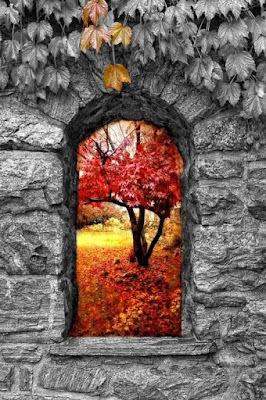 That beautiful leaf looks so great and totally autumn in these colours! The mix of colours is great! Enjoy your weekend! As always, beautifully clean, crisp and simple. I love the detail in the pretty leaf. Thanks so much for playing along with Uniko this month! Deborah, DT. very pretty card. Thanks for joining us at ATCAS!! Really pretty design Sandie! 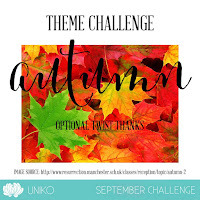 I love the watercoloured look of the leaf and the "frame" - so perfect for Autumn! The stitching adds the perfect amount of texture and finishes this CAS beauty brilliantly!